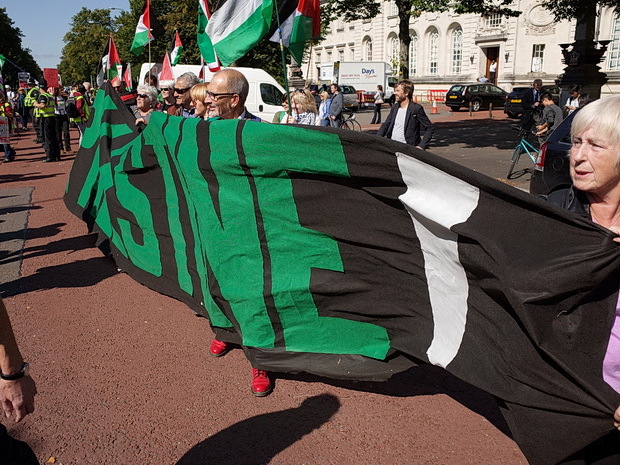 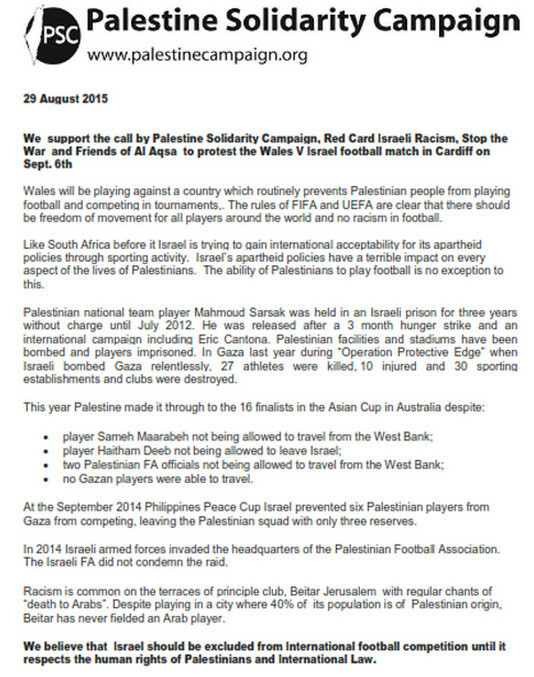 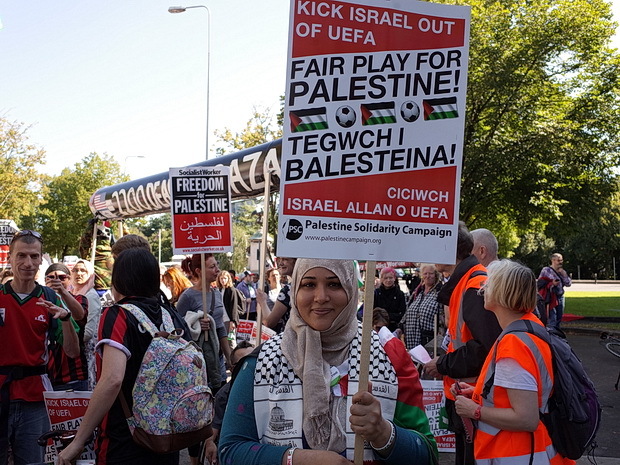 Campaigners were demanding ‘Fair Play For Palestine‘ and pointing out that under UEFA’s own rules, Israel should not be allowed to compete. 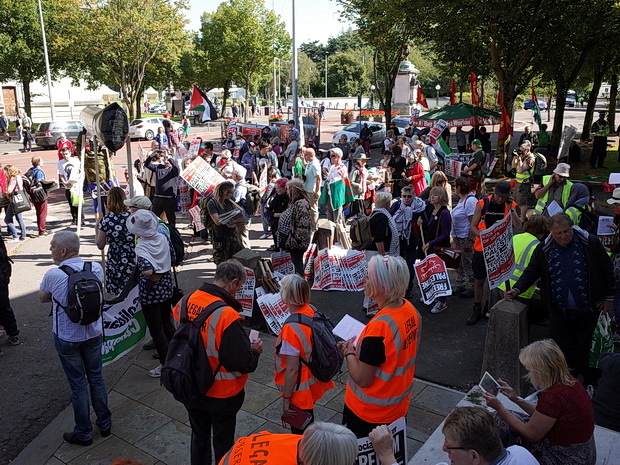 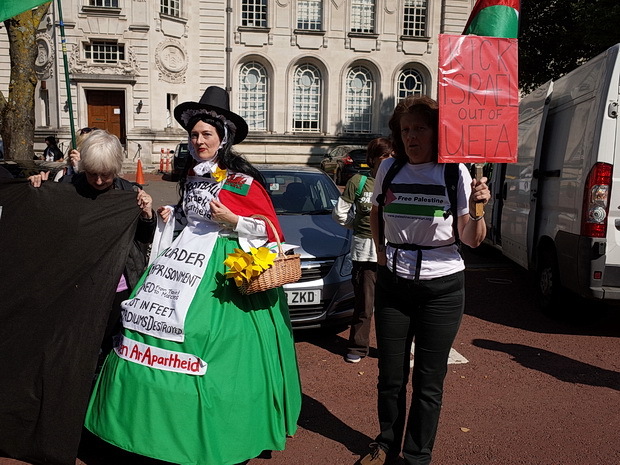 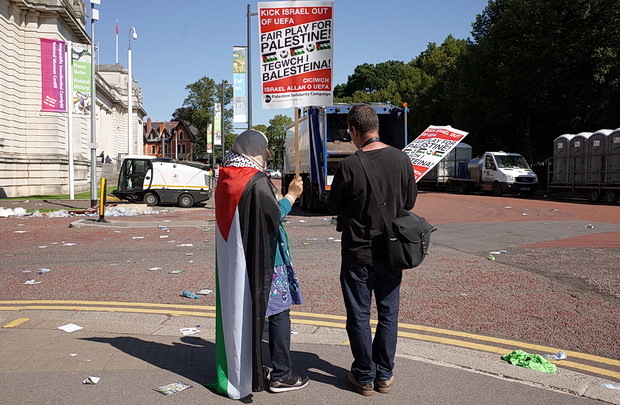 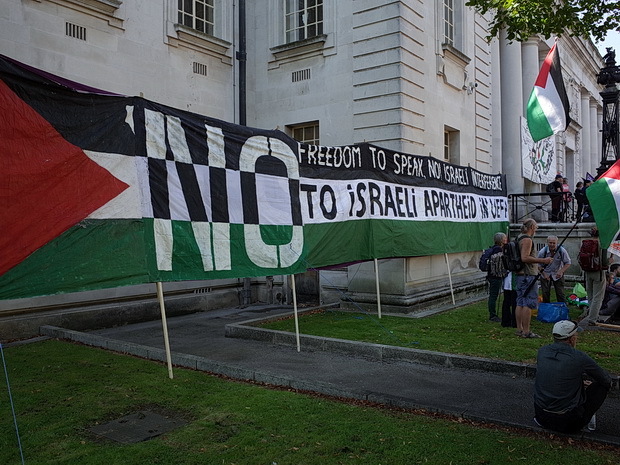 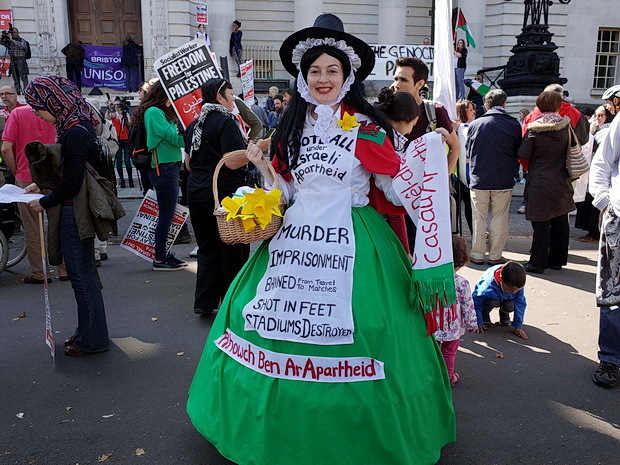 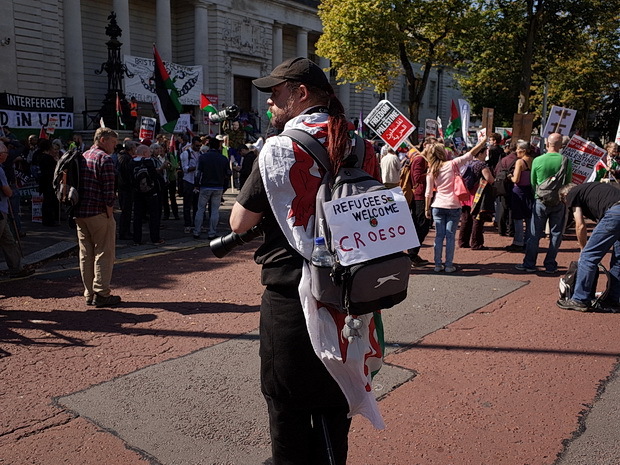 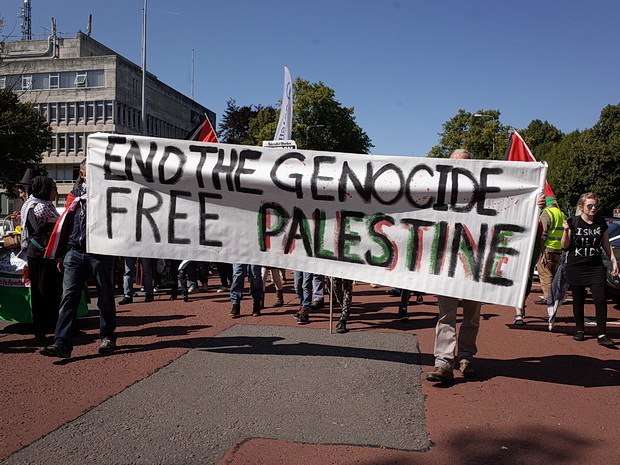 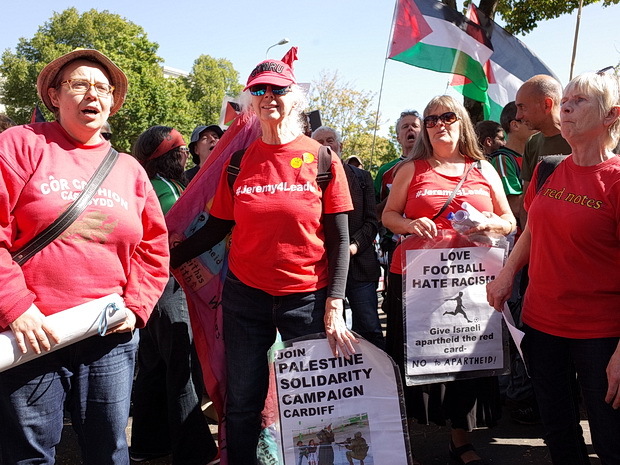 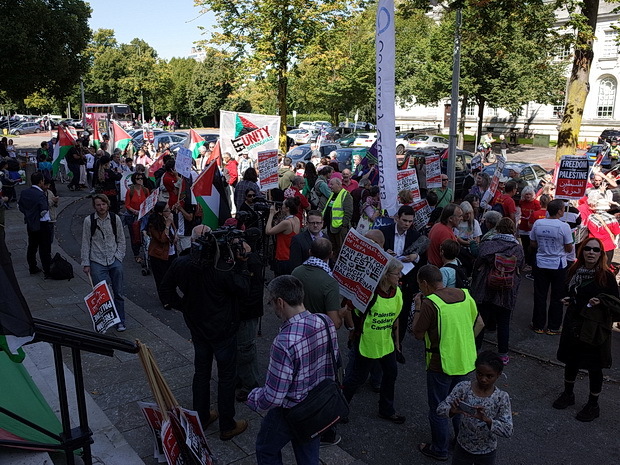 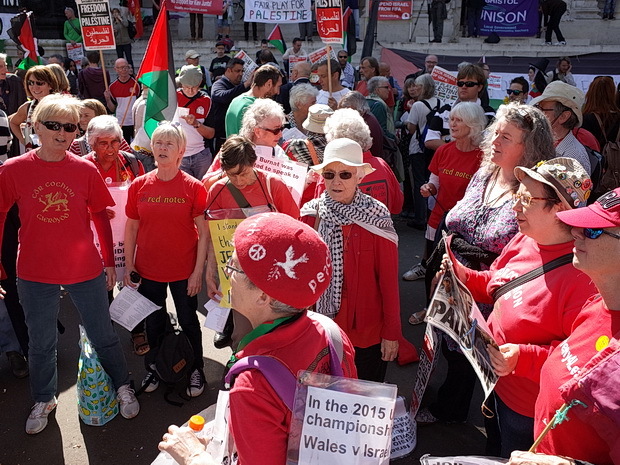 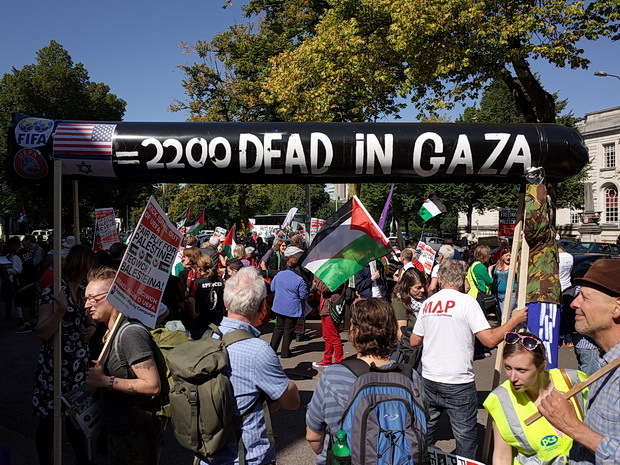 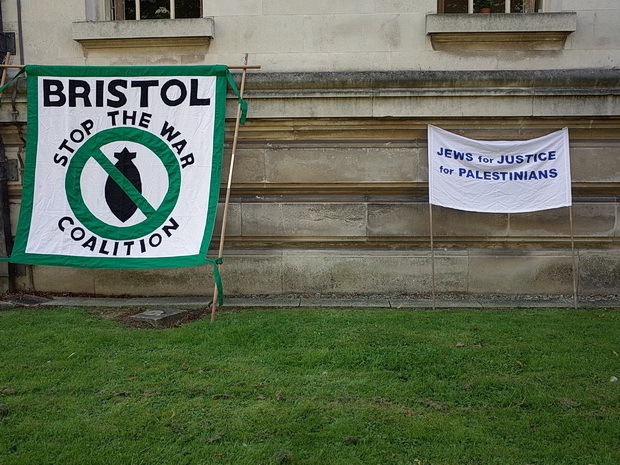 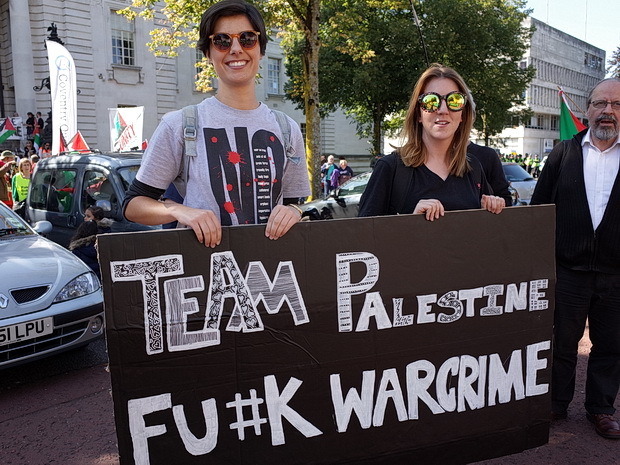 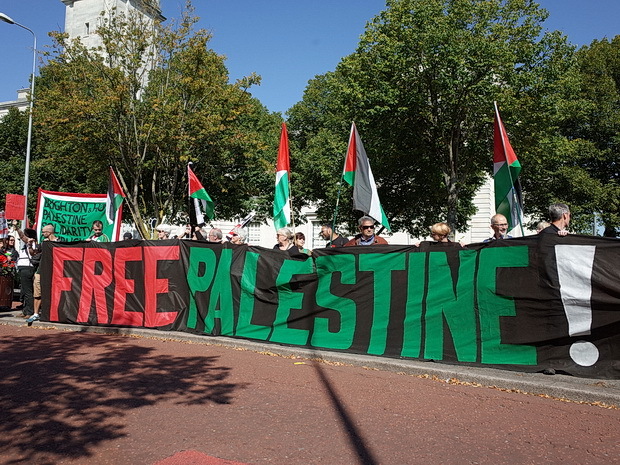 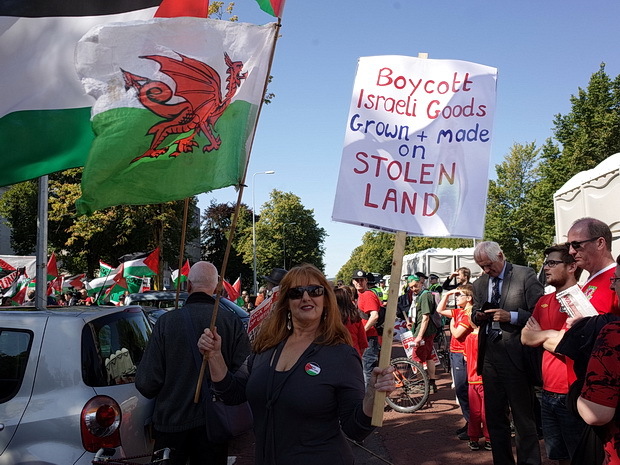 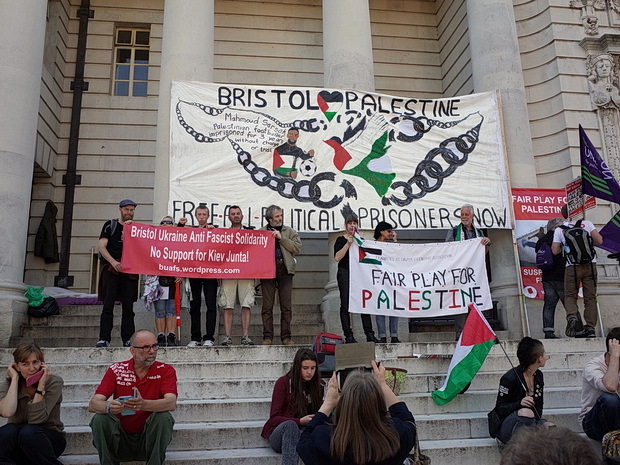 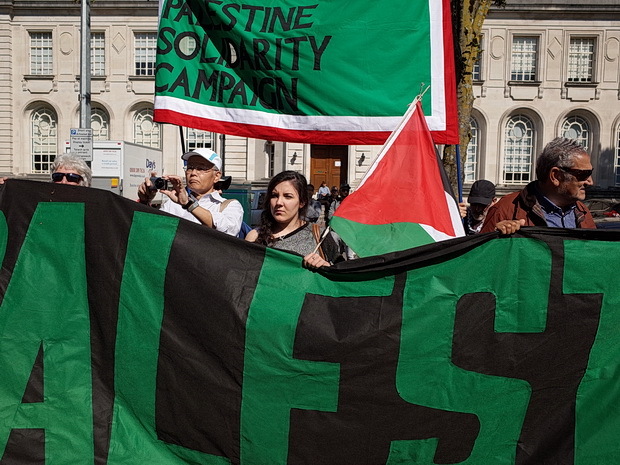 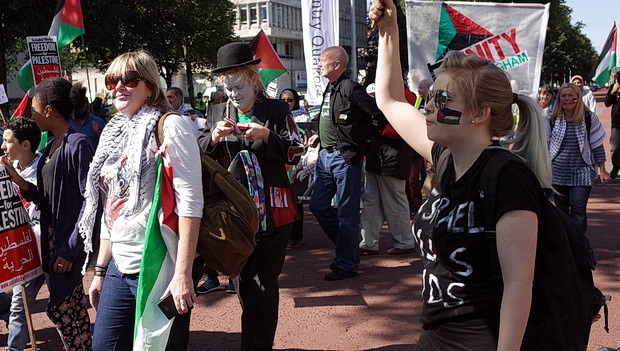 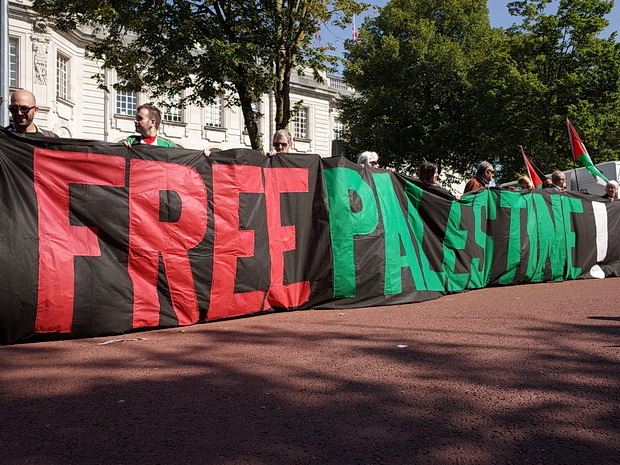 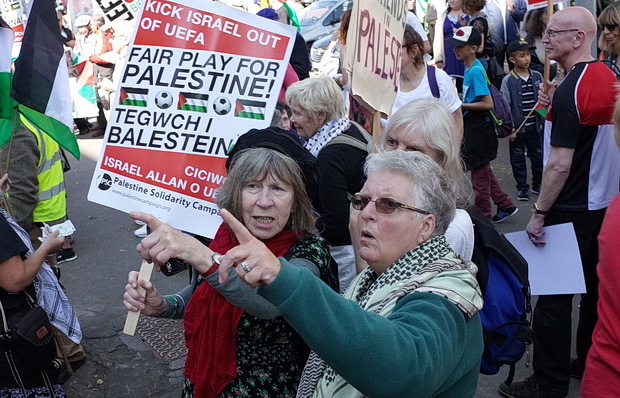 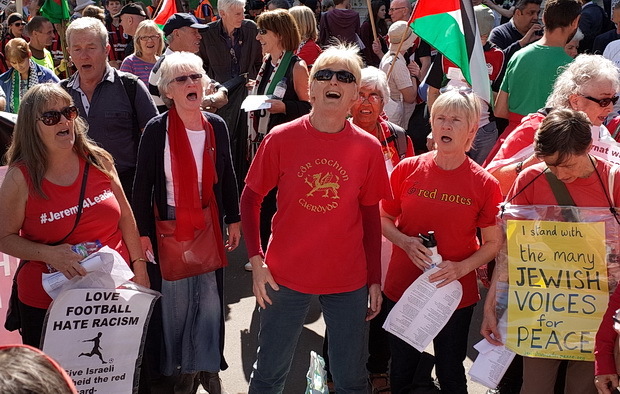 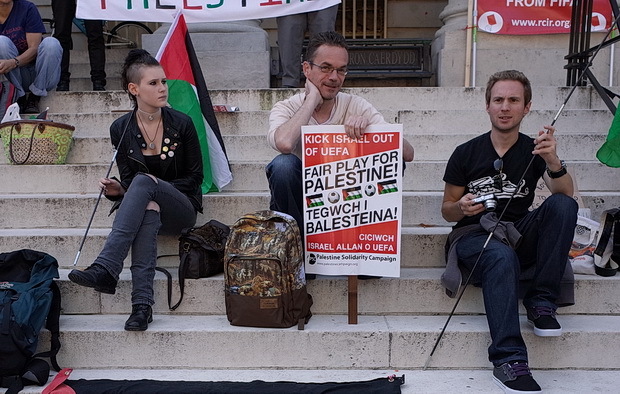 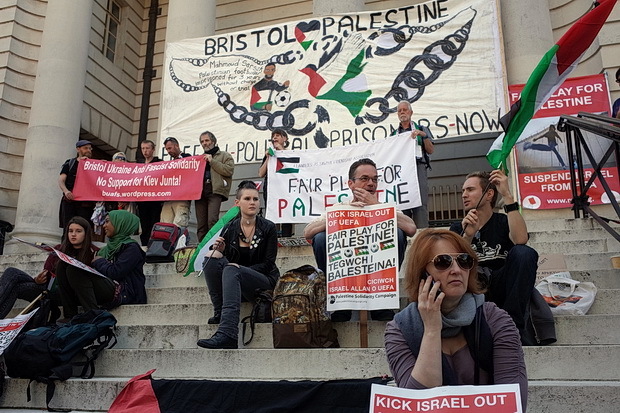 Here’s some photos from the start of the march outside City Hall in Cardiff. 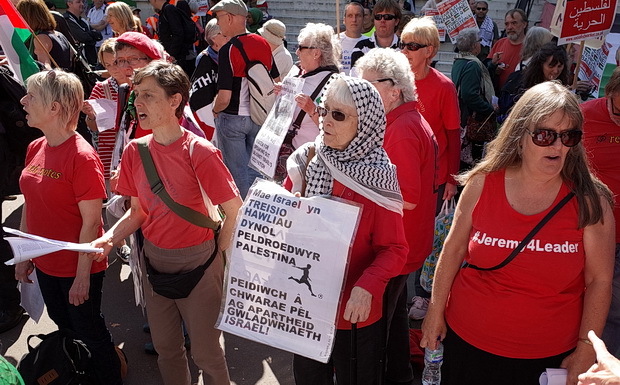 Chat about this and other Cardiff matters on our busy forum. 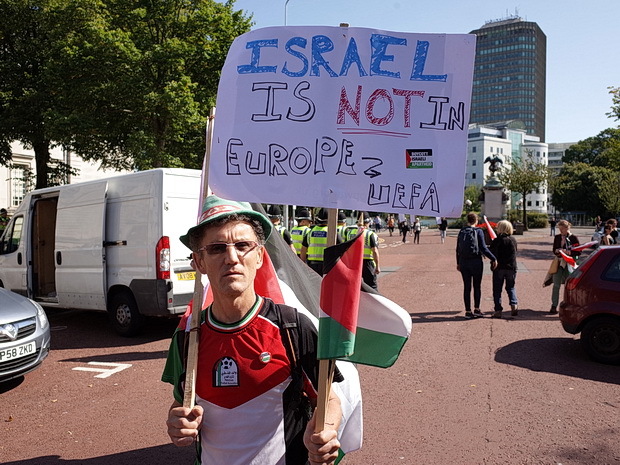 With Andorra and Bosnia to play, that point actually leaves Wales in a good position. 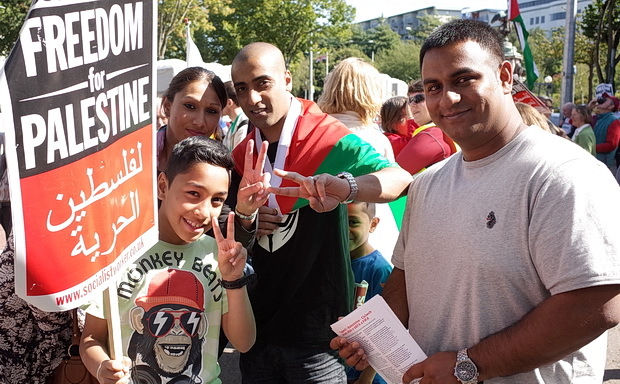 Be great to see them qualify!